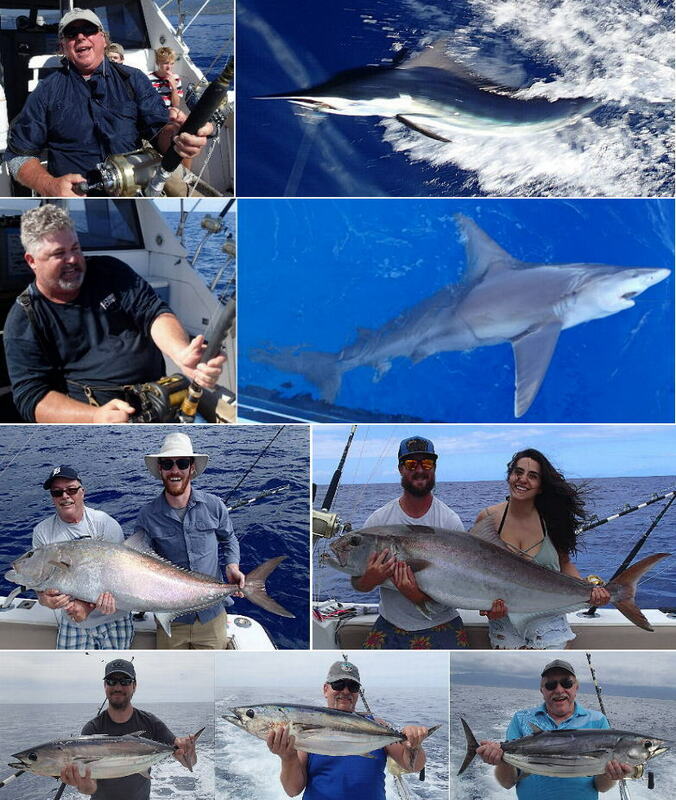 Kona Hawaii Fishing Report – November wrap-up. The blue marlin bite remains pretty good for it being the off season. We’ve even had some BIG ones showing up. Even more in numbers than we had during the peak summer blue marlin season. The striped marlin should have started showing up in October but they didn’t but they’re starting to show up now. Last year was one of the worse striped marlin seasons I could remember so I’m really hoping that this year will be better. Orange striped marlin meat makes the best sushi, sashimi and poke! Most of the time the meat is more of a pink color so getting an orange meat striped marlin is very special. November is supposed to be the peak month for the fall mahi mahi run and while there have been some around; the bite certainly hasn’t been hot. What was a hot bite this month was the otaru tunas. It’s way late for them to still be here so maybe the mahi mahi are just running late also. There’s been some spearfish and ono trickling in and some big ahi caught in the porpoise schools so it’s really been a mixed bag bite. I always tell people that “every trip is its own adventure” and I have no idea what the day will bring us. One thing I can say though is that if you go with me, we’ll catch something. Catching ‘something’ is what the bottom bite is all about. Most people that come out fishing with me have never caught a fish over 50 lbs. The sharks that I catch and release average 50 to 150 lbs. They’re hard fighters so getting one to the boat sure gives the angler a sense of accomplishment. Not to mention some awesome photos. Another hard fighting fish that’s supposed to be in its peak season right now is giant trevally. I got one last month but not this month. Late? One can only hope. Yet another hard fighting bottom fish is amberjack. Almost every year we’ll catch and release one or two that tip the scales at over 100 lbs. This month we caught two 100+ pounders back-to-back. In all my years of bottom fishing, that was a first! That’s why I can safely say with confidence, “every trip is its own adventure”.